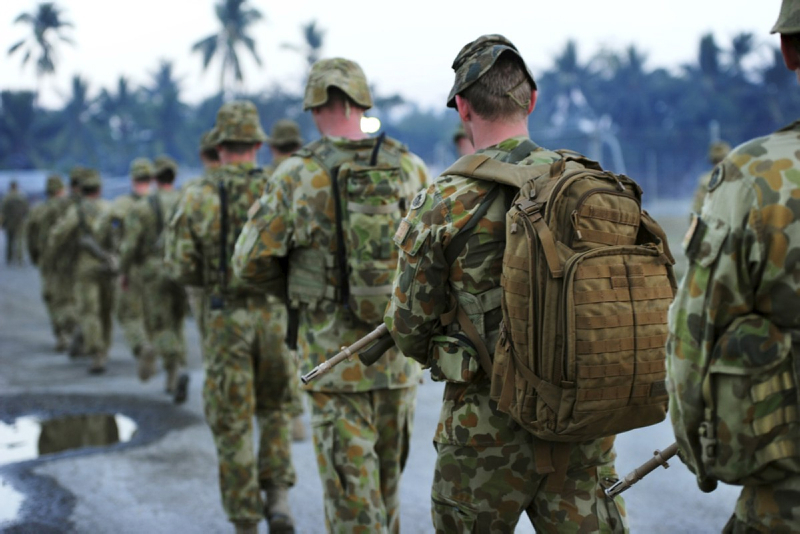 The Australian Government has recently announced a series of cuts to the Defence budget. According to Greg Sheridan, writing in The Australian, more possibly loom on the horizon . Those with an awareness of Australian defence history will know that this is not unusual; alternating periods of largesse have consistently been followed by periods of intense austerity. What is less commonly acknowledged is that, while such redirections of money offer the government a short-term defence-sourced dividend, they also create long-term liabilities in capability that don’t reveal themselves until Government urgently requires the military to do something. Past history suggests that budget reductions quickly result in a hollow force, so that when the government next calls on the military, the services have far too little time in which to overcome such dividend-inspired deficiencies to provide the effect that is wanted. One would hope that the cutbacks of the early 1990s are too recent in the national memory for us to overlook the fact that the military had been run down  to such an extent that even the relatively undemanding peace stabilisation mission in East Timor in 1999 was almost beyond the ADF’s abilities. Looking further back, the budget reductions of the 1930s produced a defence force that was virtually non-existent when it was needed to counter a far more demanding threat in 1939 . Such examples aren’t limited to Australia: US Army officers (and their Australian counterparts) would do well to remember the fate of Task Force Smith  in the opening days of the Korean War. The main challenge—as well as the main responsibility—facing today’s Defence leaders is to manage the current round of austerity better than those who managed previous instances. Can these leaders guide the ADF so that it retains a degree of core capability? Or, will the Services, particularly the Army, once again become pale shadows of what they should be? No doubt there are military and civilian staff working hard on this very issue, identifying those areas in which more risk and less depth can be traded off without adversely affecting capability, while still meeting Government requirements. By all means the Services should seek economies and rationalisations that will reduce expenditure. After all, this is what Government has tasked them to do. However, in making decisions on where such economies should occur, it’s critical for each Service to understand the operational inclinations of the organisation as a whole. Australia relies upon a major power protector for its existential security. Australia has never fought to defend its territory but has always fought to protect its interests. Australia has always fought in an expeditionary capacity, invariably as part of a coalition. Without exception, these principles form the bedrock of the Australian way of war. Those members of the Department of Defence responsible for identifying savings need to remember that if the ADF is to retain utility to Government it must possess capabilities that best align with Australia’s way of war. Otherwise, when the next war arrives, no matter its particular character, history suggests that Australia will conduct itself in conformity with the three principles outlined above. Unfortunately, planners have not always held fast to these principles when austerity has beckoned in the past. For example, those who crafted the Defence of Australia policy shifted the aim of defence spending towards assets that were more suitable for territorial defence, and starved of funds those capabilities that were more aligned with Australia’s defence principles. The result should have been predictable. When the government needed the ADF for the East Timor Intervention it was found wanting. The ADF had been organised for territorial defence, yet in 1999 the Government needed its military to do what it has always asked it to do–conduct an expeditionary operation in support of national interests. An argument can be made that I am being too linear, that the past doesn’t serve as a clear and direct predictor of the future, and that the interaction between the past and future is more nuanced, more complex and more subtle. I could certainly agree with such an assessment. However, I’d also argue that what must be understood and absorbed by those seeking savings is that national culture is an undercurrent that shapes all that a people do, including determining its way of war. If the government and the ADF’s leaders wish to construct a force whose organisation, posture, and intent is different from its existing principles for the conduct of war, they will first need to consider and change the underlying culture of the organisation (if not the nation), including the principles that define how Australia fights. It can be done—it’s possible to forge something different, but it must be done knowingly, with the understanding that a new way of war is the goal. If not, the organisation should strive to adhere to its principles by prioritising those assets that best align with the existing way of war in accordance with the three principles outlined above. If this isn’t done, it’s certain that when Government next calls upon the military it will discover that all it possesses is a hollowed out force lacking the capability that is urgently needed. Albert Palazzo is a senior research fellow at the Australian Army’s Land Warfare Studies Centre. The views expressed here are his own and do not reflect those of the Department of Defence or the Australian Government. Image courtesy of Department of Defence .